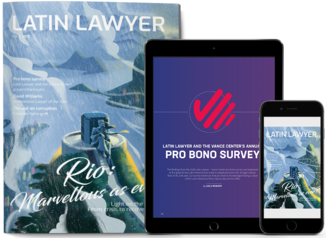 Firms are selected for listing in the Latin Lawyer 250 and Latin Lawyer National on merit, and research is conducted continuously to assess firms through the region for the next edition. We strongly advise you to tell us about the kind of work your firm is doing throughout the year, for publication in our daily email briefing and website. We use this heavily when researching firms. More information about how to submit news can be found here. 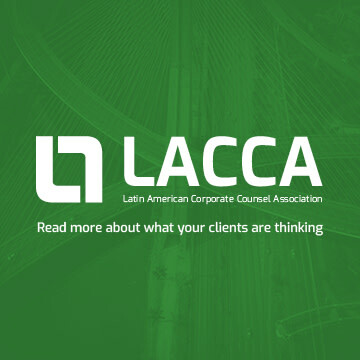 Latin Lawyer reviews applications in the second half of the year. Any firm under consideration at that point will be invited to supply a list of client referees, who we will contact for feedback on the law firm’s service. Successful entrants will be notified towards the end of the year. Stage 1 - client references (and information on non-transactional practice areas where applicable): Request for information sent out in February, with six week deadline. Stage 2 - review of LL250 editorial profile, request for telephone interview: Request for information sent out in early September, with approximately one month deadline. Stage 3 - law firm numbers: Request for information sent out at start of November, with two week deadline.